Information presented to the public on safe cities for women will get the most attention if it is interesting to look at and well-organized (UNIFEM, 2003). Also, materials should only have enough information to get the message across – people will become confused or bored if there are too many words or pictures. For example, women’s safety on public transportation is a very large topic to communicate in a poster or radio advertisement. Programme partners should try to narrow their subject down to sexual harassment on the subway, for example, or lack of public transit in poor neighbourhoods, or whatever the most pressing issue is in their community. In addition, it is important to use easily understandable language that is meaningful to the audience that the campaign is trying to reach (i.e. senior citizens, business people, or young people). Programme partners should avoid using terms that are too technical. Image Source: Red Mujer y Habitat de America Latina. Imaginemos Rosario sin violencia ¡¡también para las mujeres!! 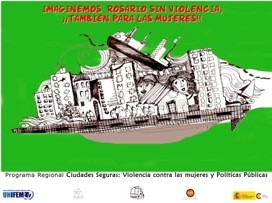 (`Let´s Imagine a Violence-free Rosario, Also for Women!’) Poster Campaign, Rosario, Argentina. 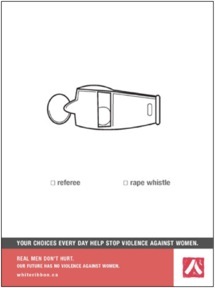 This campaign used posters to raise awareness about violence against women in the city. The posters were placed in different public spaces where they were highly visible. Sometimes, several copies of the same poster were put up in the same place for more impact. 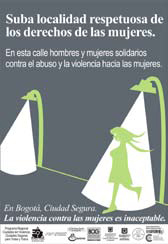 The campaign was developed under the UNIFEM-supported Regional Programme ”Cities without Violence against Women, Safe Cities for All.” More information is available from Ciudades seguras: violencia contra las mujeres y políticas públicas (Safe Cities: Violence against Women and Public Policies). Available in Spanish. Sticker campaign in New Delhi, India. In solidarity with the “Safe Delhi Campaign” organized by the non-governmental organization JAGORI, auto-rickshaw drivers in New Delhi decorated their vehicles, their auto-rickshaw stands, and their neighbourhoods with a total of 5,000 stickers that read “Eve teasing is not a joke but a crime. Make Delhi safe for women” (The Hindu, April 25, 2007). “Eve teasing” is a term used in India for sexual harassment against women and girls. Available in English. LAS MUJERES OCUPANDO NUESTROS BARRIOS SIN MIEDOS NI VIOLENCIA (Women Occupying our Neighbourhoods without Fear and Violence) Pamphlet. 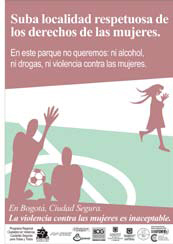 This pamphlet provides information on programmes addressing women’s safety in the city of Rosario (the Gender Inclusive Cities Programme and the Cities without Violence against Women, Safe Cities for Everyone Programme). The pamphlet is fun, colorful and easy to understand. Spanish. This mural was created by a group of artistic women working on safe cities for women. 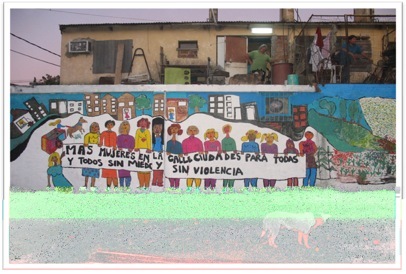 The text reads, “Más Mujeres en las calles, ciudades seguras para todos/as sin miedo ni violencia” (`More Women in the Street; Safe Cities for Everyone without Fear and without Violence’). Image Source: M. Rodigou, CISCSA (part of the UNIFEM-supported Regional ProgrammeCities without Violence against Women, Safe Cities for All”). Coasters to raise awareness about alcoholic drinks being spiked with drugs at public events. Created by the City of Sydney, Australia. See the materials on the City of Sydney website . Image Source: Blank Noise, India. 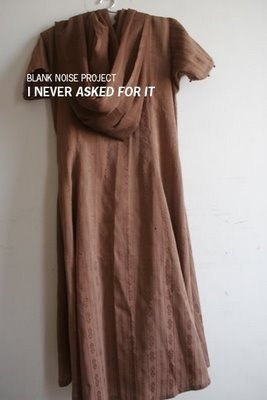 Blank Noise Project, “I Never Asked for It” Poster Campaign, India. This poster campaign, initiated by the Blank Noise project, depicts items of clothing that girls and women were wearing when they were sexually harassed. The message behind the poster campaign shows that no matter what a woman or girl wears or does, she never deserves to be sexually harassed. It also shows that women are expected to act or dress a certain way in public in order to avoid harassment and that this attitude is very discriminatory because it restricts women’s freedom to choose what they want to be and how they want to represent themselves. The Egyptian Centre for Research on Women produced a series of cards to raise awareness about sexual harassment. 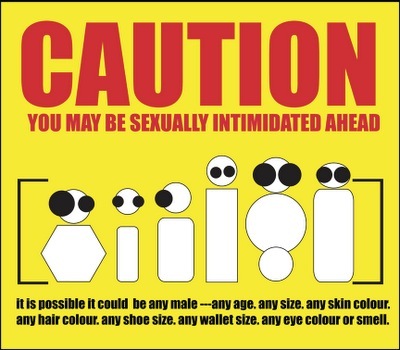 The front of the cards display an image and information about what actions are considered sexual harassment. The back of the cards provide information on what actions women can take in response to harassment. 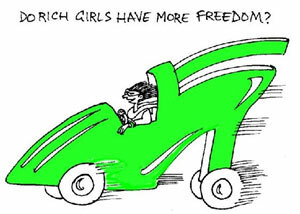 The organization PUKAR worked with a cartoon artist to produce a series of postcards on the topic of women and public space as part of their “Gender and Public Space Project”. Suba localidad respetuosa de los derechos de las mujeres (The neighbourhood of Suba respects women’s rights) poster campaign, Bogotá, Colombia. This campaign was carried out under the the UNIFEM-supported Regional Programme ‘Cities without Violence against Women, Safe Cities for All’. The use of a simple, colourful design – a picture of a woman and the slogan “In Bogotá, violence against women is unacceptable” – was intended to place the problem of violence against women and the concept of safe cities for women on the public agenda. The design’s simplicity made it ideal to use in different formats, such as posters, stickers, T-shirts, etc. This campaign was carried out under the the UNIFEM-supported Regional Programme ‘Cities without Violence against Women, Safe Cities for All’. Public transportation Campaign, Rosario, Argentina. 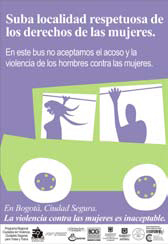 As part of its Safe Cities work, CISCSA negotiated public transport cards with the ‘no to sexual harrasment’ slogan on them (2009). Poster made up of newspaper headlines on violence against women in public places, created by JAGORI, India. Image Source: JAGORI, New Delhi, India. 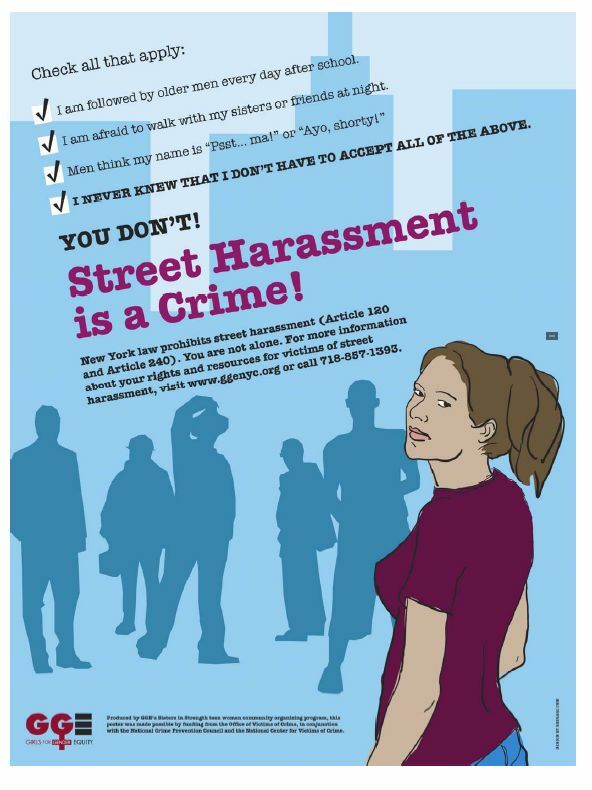 Street Harassment is a Crime ! 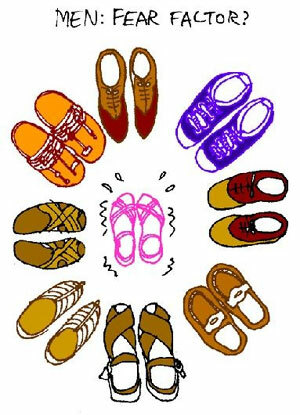 Poster created by Girls for Gender Equity, Inc. Image Source: Girls for Gender Equity. Sexual Harassment – Social Cancer Poster. created by the Egyptian Centre for Women’s Rights. 'Messages and Materials to End Gender-Based Violence” Checklist, in Making a Difference: Strategic Communications to End Violence against Women, (United Nations Development Fund for Women, 2003): page 16. This checklist focuses on the ‘do’s’ and ‘don’ts’ of presenting material on gender-based violence to the public. Its focus on theoretical, practical and aesthetic concerns makes it especially helpful for safe cities campaigns. Available in English. “How to Make Visual Presentations” Guide, in Making Safer Places: A Resource Book for Neighbourhood Safety Audits (Women’s Design Service, UK, 1998): pages 33 – 35. The strategies included in this guide are meant for the presentation of women’s safety audits, but also effective for presenting any kind of information related to women’s safety. Different techniques for visually presenting information, such as drawings, maps, or board games, are presented. Available in English. Designing a Communications Strategy Guide in Making a Difference: Strategic Communications to End Violence Against Women (United Nations Development Fund for Women, 2003). New York, USA: pages 33 –34. In a question-and-answer style table, goals, objectives, changes, research and other topics related to communication about ending violence against women are addressed. The table can be used by safe cities programmes to target the most effective ways to share the concept of safe cities, its importance, and its connection to particular projects. Available in English and Russian. Coalition on Violence against Women (COVAW) Outreach and Training, Kenya, in Preventing Gender-based Violence in the Horn, East and Southern Africa: A Regional Dialogue, Raising Voices and UN-HABITAT, Safer Cities Programme (Raising Voices and UN-HABITAT, Safer Cities Programme, 2004: pages 32 – 33). COVAW works to stimulate public dialogue through extensive media campaigns, publications and community-based activities. The goal of the programme is to promote awareness and debate on women’s human rights. Specific activities that the COVAW programme includes are: sensitization and training workshops for women, men, youth, community facilitators, law enforcement agents, volunteers and health care providers; production of user-friendly learning materials on violence against women; drama performances on gender-based violence; and essay and poster competitions for youth. Case studies from various African countries are available in English. Point out the things that make the community safe and unsafe. Use a safe cities for women awareness-raising campaign to illustrate how features of the community could make public space less or more safe for women and girls (accessible public telephones is an example of a positive aspect). Specific local examples give the public and women themselves a way to connect the somewhat abstract idea of safe cities for women with actual day-to-day experiences. This can also help the public learn to identify factors that lead to women’s and girls’ insecurity. It is important to note, however, that a safe cities for women awareness-raising campaign runs the risk of scaring women and girls by heightening awareness of public safety problems. If women and girls become more afraid of public spaces, they may be less likely to use it-- the opposite of the intended result of a safe cities for women programme. To avoid unintended harm, make sure to point out solutions or good practices that have succeeded elsewhere at the same time that safety concerns are being raised. This activity, developed by Women in Cities International (Canada), can be undertaken with safe cities for women programme partners: * Start by obtaining two large copies of a photograph of a local area that feels unsafe (e.g. a parking lot, a public square, an alley, other. Place the photographs side by side on a poster. 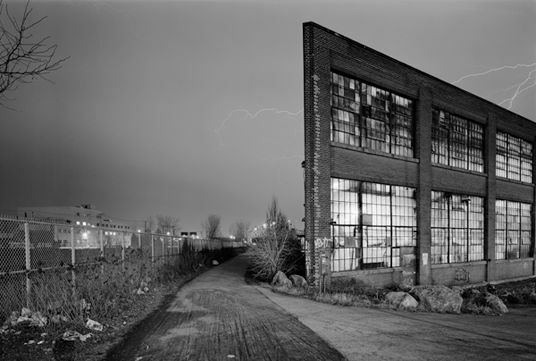 On one of the photographs, have participants add paper cut-outs or drawings of things that they think would make the space feel safer (street lights, more people, different buildings, etc.). Have them add a title to the poster that describes the “before and after” effect. For example, your poster could read “Spaces with better lighting make people feel safer”. Put the poster up in a prominent public space. Une ville sécuritaire pour les femmes – tout le monde y gagne (A Safe City for Women – Everyone Wins”), created by Conscience Urbaine (Urban Consciousness), Montréal, Canada. Conscience Urbaine is a non-profit organization that raises awareness on issues related to social exclusion and civic participation, using posters and banners to draw attention to public spaces in Montréal, Canada, that are unsafe for women and girls. Messages on the banners accompany photographs and encourage women to take action and report unsafe spaces to authorities. The images also included information on how the spaces could be improved so that citizens can learn from it. Available in French. "Por una ciudad sin violencia hacia las mujeres" (For a city without violence against women) video shorts, (n.d.). These two short videos, produced as part of the Programa Regional "Ciudades sin violencia hacia las mujeres, cuidades seguras para tod@s", use simple animation to show how women can feel alienated and unsafe in public spaces. The videos also depict how simple improvements to city spaces, such as proper lighting and public art, can create safer streets. Animations are set to music and can be used in any language. Spot 1 and Spot 2 are available in Spanish; approx. 1 minute each. 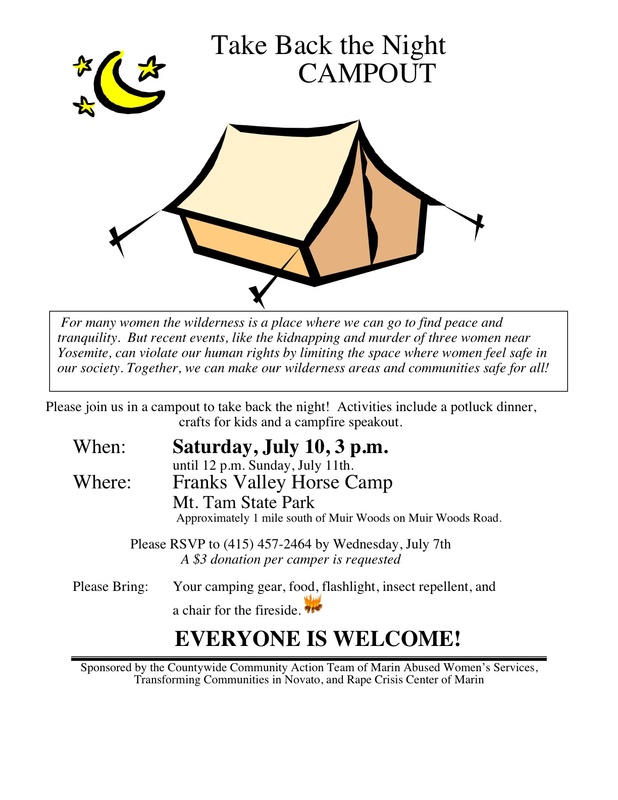 Take Back the Night! Checklist of Tasks (n.d.). This checklist, produced by the Minnesota Department of Health, can be used by safe cities for women project partners to plan for a Take Back the Night! event. These are events are held to raise public awareness about women's right to freely use city spaces at all times, including after dark. Available in English. Las Mujeres Queremos Cuidades Seguras (We Women Want Safe Cities) video by Rebecca Gerome (2009). This short, online video documents some of the techniques used by the Colombian women's organization, Fundación MAVI, in Cali and San Antonio, Colombia to raise awareness about women's safety in cities. Through innovative signage, street festivals and maps, the group uses city space to advertise their views on women's experiences of security. The women’s tactic of taping off insecure public areas with yellow tape (usually used by the police) is of particular interest. Available on YouTube in English; 2:45 minutes. Remember that raising awareness is not the same as telling people what to think. When programme partners are educating people about a topic as complex as safe cities for women and girls, it is important to let people really reflect on the issue and on how it affects them personally. When provided with opportunities for discussion and debate, the public will be able to come to their own conclusions about safe cities. This will be more meaningful than just being told what is “good” or what is “bad”. In order to avoid telling people what to do, programme partners should try focusing materials on what a safe city could mean to different people and communities, instead of strictly defining what it should be. Moreover, materials should be made widely available so that all members in the community have the opportunity to gather enough information to form their own opinions. Example: Walk a Mile in Her Shoes Event, Toronto, Canada. “Walk a Mile in Her Shoes” is an annual event held in Toronto, Canada to raise awareness about women’s everyday experiences of violence in the city. Participants (men, women and children) are first invited to walk a mile through the city streets in high-heeled shoes so that they experience the mindset of a woman. Afterwards, participants are required to discuss the issue of violence against women amongst each other, their colleagues, friends and families. The aim of the event is to help the whole community think about how women experience violence and to bring the issue out into the open. More information on this event can be found here. Ciudades de encuentro, ciudades posibles (Cities meeting, possibilities for cities), 2009. This video documents the reflections of several experts from the UNIFEM and AECID Regional Programme "Cities without Violence against Women, Safe Cities for All". Discussion covers topics such as women's right to the city; what a city looks like from a gender perspective; and possibilities for cities which are more equally accessed by all people in the future. Further discussion is provided on challenges to creating safer and more inclusive cities for women and for everyone. Available in Spanish. Test to Measure Machismo (no date). This online survey tool was developed as part of the campaign “Una vida sin violencia hacia las mujeres: una lucha de todos y todas” (`A Life without Violence against Women: Everyone’s Concern’) promoted by Mujeres Habitadas (`Inhabited Women’). The self-administered survey is designed to engage the public in reflection and debate, by showing users how violent attitudes are present in day-to-day interactions between men and women. It also raises awareness about the causes of violence against women and its links to the unequal power relations between men and women. Results from the survey were displayed on posters in public spaces. The objective of the posters was to make people think about how the violence women experience in their daily lives is linked to the issue of gender inequality. The following is an example of one of the multiple choice questions asked: The survey is available in Spanish. Visioning a Safer Community Activity, Women and Community Safety: A Resource Book on Planning for Safer Communities (Dame, T. and A. Grant, 2002). Cowichan Women Against Violence Society, Canada: page 19. This activity can be used in safe cities for women awareness-raising campaigns to make a link between people’s feelings of safety and their community. “Visioning a Safer Community” requires participants to pause and think about what a perfectly safe community would be for them. Then, each member turns their vision into real goals for the community to achieve. This too can be used with a group, or for developing a poster or a play. Available in English. Draw on the skills and influence of safe cities for women programme partners. Because a safe cities for women programme necessarily requires a number of partners from different sectors and disciplines, the programme will have a variety of talent at its disposal. If someone is a good speaker, ask them to give a speech in the community on why they think safe cities and communities for women and girls are important; if someone is a good painter, ask them to do a public mural on the subject. In addition to skills, certain safe cities for women partners may be able to raise awareness through their access to and influence over different audiences. For example, a partner from the municipal government may be able to use their position to hold an event geared towards raising awareness on safe cities for women among public officials. Conversely, another programme partner with an interest in music may be able to perform a concert to raise awareness within the local arts community. Activity: Gallery Walk Exercise in INSTIGATE! An Online Toolkit for Community Mobilization, Transforming Communities Technical Assistance and Training project (Transforming Communities Marin County Community Mobilization, 2001). This activity is designed to help a newly-formed group discover and inventory the communications skills that members already have. To complete the exercises, a facilitator creates a “gallery” by taping headings, such as “Has made phone calls to invite people to a party or gathering” on the wall. Group members are showcased by placing their names under each heading that applies to them. Group members also tell the rest of their group about their particular experience so that everyone can learn about the talents they bring to the table. The exercise concludes with a brainstorming session on how each member’s skills can help in the development of an action campaign. Available in English. Give people information that is relevant to them. If you want to share statistics about the number of women who are attacked in subway stations, for example, make a brochure that targets transit authorities and distribute it to their offices and workplaces. Be creative in reaching different groups of people. If you want to share information on how women can feel safer in their communities by participating in community planning, advertise on shopping bags at the local grocery store. Moreover, when targeting specific audiences, programme partners should remember to include images that reflect the diversity of people affected. Insecurity affects all kinds of women and it is important to ensure that images used include women of different ages, races, ethnicities, abilities, etc. Examples: Information brochure on women’s resources, Rosario, Argentina. This brochure includes phone numbers for different services, and explains the role of the local Department of Women’s Affairs and the community police (urban guards). The small size of the brochure allows urban guards to carry them in their pockets and distribute them in public places. Image Source: Red Mujer y Habitat de America Latina, created within the framework of the UNIFEM-executed Regional Programme ‘Cities without Violence against Women, Safe Cities for All’. Sexual Harassment: Tips for Young Girls (2008). This booklet, produced by the Indian women's organization JAGORI, provides young women and men with information on sexual harassment and advice on reducing its prevalence. Firsthand stories and quotes are used to illustrate how sexual harassment negatively affects the lives of young men and women as the move through the city. Information is provided on Indian laws regarding sexual harassment and recourse procedures for victims of sexual harassment. This is an excellent example of material that could be used to raise awareness about the negative effects of harassment among a specific segment of the population (young men and women). Available in English. Helpline Booklet (2010). This booklet, produced by Jagori’s Safe Delhi campaign, provides a series of emergency numbers for women and girls. The booklet has sections dedicated to resources for women with disabilities. The booklet has also been translated in Braille for use by women and girls with visual impairments. English. Promoting Good Relations Brochure (United Kingdom). 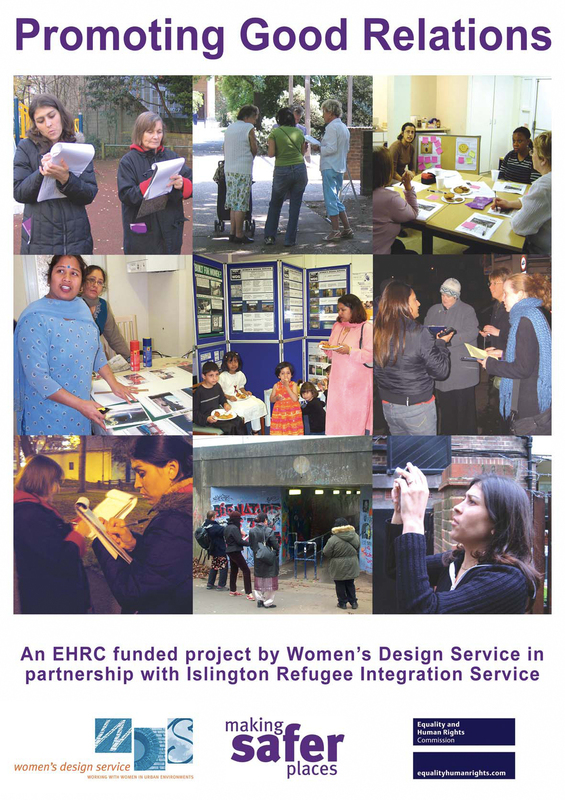 The Women’s Design Service developed this brochure as a way of reaching women in the community. The brochure explains the work that Women’s Design Service does to make the city safer for women. It shows photographs of women working together and explains how women can contact them. Image Source: Making Safer Spaces Project, Women’s Design Service. When addressing a community-wide issue, like the safety of women and girls, it is good to take a number of different approaches to reach a number of different people. This means placing your material in several places where different groups of people go. For instance, a safe cities for women campaign might put up posters in libraries, cafes and grocery stores; and might also use bus advertisements to reach drivers who are unlikely to see posters in other places. Different kinds of awareness-raising strategies can also help in reaching a wider audience (source/link - Michau and Naker, 2003). For example, performances could interest children, while television advertising could interest older people, and Internet blogging could interest young adults. Outreach with men and boys: It is also a good idea to develop awareness-raising materials and strategies that target men and boys specifically, because men and boys have a unique role to play in creating safer cities and communities for women and girls, and stopping gender-specific forms of violence in public spaces such as sexual harrasment and assault. For more information on working with men and boys specifically, see the module on Partnering with Men and Boys. Poster from the White Ribbon Campaign: Men Working to End Men’s Violence against Women (The White Ribbon Campaign Canada, no date). Image Source: White Ribbon Campaign. Black Women against Male Harassment (BWAMH) - Legacy of Harassment Video, 2009. This video, created by the Freedom Youth Collective, is a parody on street harassment. It features young women catcalling and otherwise harassing men on the streets of Toronto, Canada. The purpose of the video is to draw attention to the negative gender roles that are re-enforced when street harassment takes place. Available in English; 2:37 minutes. Las Mujeres por una Ciudad sin Violencia (Women for a City without Violence), Colombia. This short animated video demonstrates how men can act respectfully on public transportation in order to increase women's sense of safety. Available in Spanish. 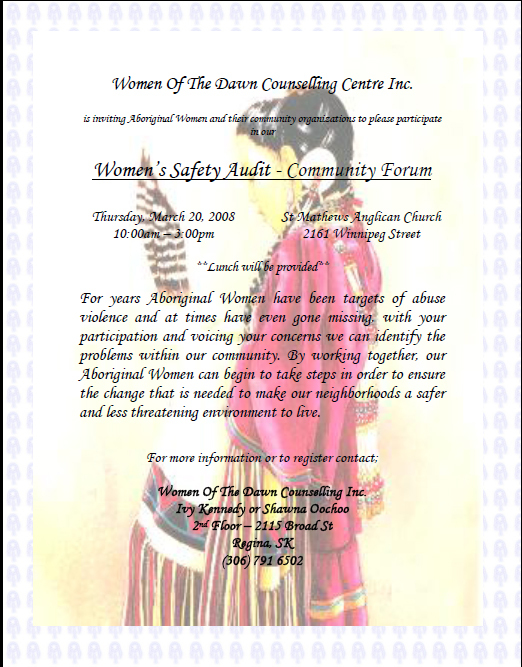 Poster from Women of the Dawn Counselling Centre Inc., Regina, Canada. Image Source: Red Mujer, 2008. 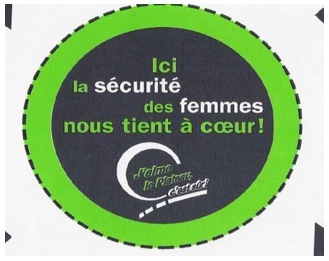 Stickers - Ici la sécurité des femmes nous tient à Cœur (`Women’s Safety is Important to Us Here’), in From Dependence to Autonomy: CAFSU Toolkit, Michaud, A. in collaboration with M. Chappaz (Comité d’action femmes et sécurité urbaine (CAFSU), 2001). These stickers were created for local businesses in the city of Montréal to post on their windows. The stickers send a clear message that women’s safety is an issue that the public and businesses should take seriously. These materials target the business community, consumers, and passers-by in the community. Available online in English, French and Spanish. Image Source: Michaud, A. in collaboration with M. Chappaz. 2001. From Dependence to Autonomy: CAFSU Toolkit. Comité d’action femmes et sécurité urbaine (CAFSU), Canada. Video “¿Es Bogotá una ciudad segura para las mujeres?” [`Is Bogotá a safe city for women?’] (Asociación para la Vivienda Popular, Red Nacional de Mujeres - CIASE, and the Oficina de Política Pública Mujer y Géneros de Alcaldía Mayor de Bogotá, Red Nacional de Mujeres, 2007). This video details the basic concepts related to violence against women and women’s safety. Ideas are presented according to the diverse perspectives of different people such as women, men, young people, local authorities and experts in order to appeal to different audiences. This video was implemented by the Women and Habitat Network of Latin America and the Caribbean under the UNIFEM-supported Regional Programme "Cities without Violence against Women, Safe Cities for all". Available in Spanish. Include references to previous local action on the issue of safe cities for women wherever possible. This shows the public that their city or community already believes that women’s and girls’ safety is important. Previous action might include: a municipal policy or women’s safety committee, an education campaign to end violence against women, a police task force on women’s safety, the existence of community groups who focus on the prevention of violence against women, or any other initiative or programme aimed at improving women’s or girls’ safety. 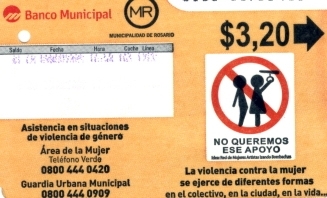 In the city of Rosario, active neighbourhood organizations, whose memberships included women, were identified to help spread awareness on women’s safety issues. Awareness-raising and training workshops were developed on violence against women. The group of intergenerational women from different community sectors who attended these workshops began to identify unsafe areas in their neighbourhood, using women’s safety audits. Furthermore, steps were taken to help women use and improve public spaces. For example, a mural was created and various activities were planned for the “International Day for the Elimination of Violence against Women” (November 25). Other activities included the installation of different kiosks with information on the prevention of gender-based violence and assistance for victims of gender-based violence. Other neighbourhood groups were also invited to develop their own activities. As a result of these activities, youth groups produced a tango and hip-hop dance to raise awareness about violence against women. This process was published in a proposal workbook to illustrate how other social organizations and district officials could carry out a similar initiative. 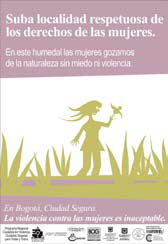 Proposal workbook available in Spanish; produced as part the UNIFEM-supported Regional Programme ‘Cities without Violence against Women, Safe Cities for All’). Use messages that refer to local spaces, streets, landmarks and other specific community characteristics. Messages and materials that include familiar territory make it easier for people to understand how safe cities concepts apply to them personally.